Flocculent and coagulant separation technology plays an important part in treating many kinds of industrial waste streams. Contaminants in wastewater such as heavy metals, suspended and colloidal materials and soluble substances, often cause the water to appear turbid or colored. Because the density of many of these particles is only slightly greater than water, agglomeration or aggregation of particles into a larger floc is necessary in order for them to be removed by sedimentation and filtration. 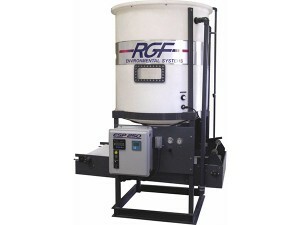 RGF utilizes a bentonite clay and polymer blend of floc to remove and encapsulate the contaminants. The clarified water then can be either discharged or reused and the settled floc can be collected, dewatered and disposed of. Usually this solid waste is considered non-hazardous. 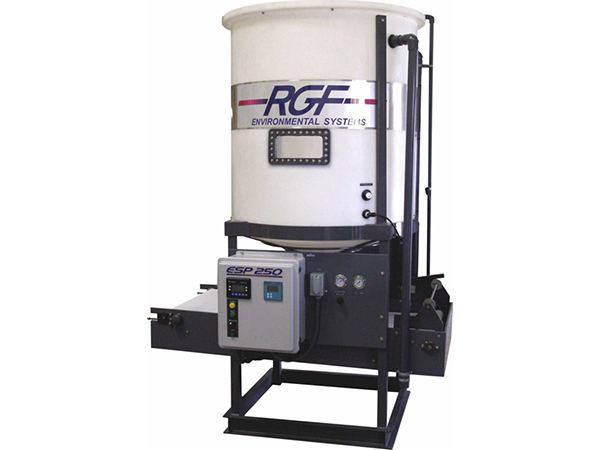 RGF’s ESP Floc Series comes in three sizes capable of processing 500 to 1,200 gallons per hour. The systems standard equipment list includes a fully automatic PLC controller, observation window, non-intrusive level sensors, visual alarms, and self cleaning reactor. The ESP was designed to be compact and all wetted parts are non-ferrous for long equipment life. The water is mixed with the QF Series Floc which is added automatically. The programmed mixing cycle creates a rapid floc which separates and then encapsulates the contaminants removing them from the water. The encapsulated material is then allowed to settle, separating the solids from the water. 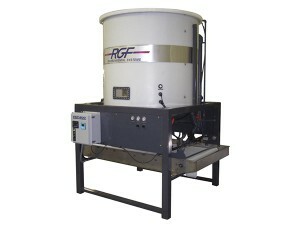 •	RGF is the recognized leader with thousands of systems installed world wide since 1985. •	Multiple safety system controls. •	Handles a wide range of wastes. •	Waste stream specific chemical encapsulation agents. •	Meets National Electric Code for indoor maintenance facilities.